Diane is the Chief Risk & Compliance Officer for Marsh & McLennan Agency LLC (MMA) a wholly owned subsidiary of Marsh Inc. She has served in that capacity since MMA’s formation in 2009. In her role, she is responsible for the Risk & Compliance acquisition and integration strategy as well as providing leadership and direction on an ongoing basis for that area. Diane has been with Marsh since 2000, servicing in a number roles in the areas of compliance, operations and finance. Her insurance industry experience spans over 25 years and she holds both a CIC and FLMI designation. 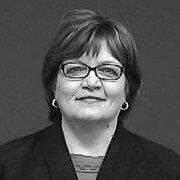 Diane is a graduate of Grand Valley State University where she earned a BA in Behavioral Science.